These twelve award-winning Christian allegories for children of all ages center on the adventures of two orphaned brothers who escape a polluted city ruled by an evil enchanter to seek their exiled king in Great Park - the place where trees grow. This exciting set of 12 incredible Gold-Medallion Award-Winning short stories for children of all ages (from best-selling authors David and Karen Mains) offers fast-paced action and engaging characters wrapped up in exciting storytelling that deals with good versus evil themes. In addition, your family will appreciate the beautiful, full-color illustrations, featuring multicultural characters, that accentuate each chapter. This version is a revised and FULLY ILLUSTRATED 30th Anniversary Edition, collectible 1st print run, autographed by David & Karen Mains, officially embossed, with 12 all-new, multi-ethnic FULL-COLOR ILLUSTRATIONS by talented artist Zhivko Zhelev from Bulgaria, plus eight black and white CHARACTER SKETCHES of Scarboy, Little Child, Mercie, Ranger Commander, The King, Princess Amanda, and Caretaker, plus pull quotes and photo captions. In addition, you'll receive two inspirational 8x10 color prints: Princess Amanda & the Dragon; and The Apprentice Juggler. 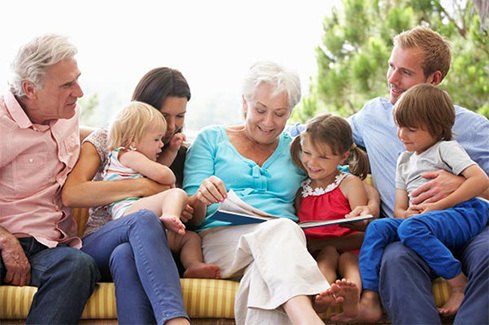 Your entire family will love reading these stories together, as they engage your younger children with exciting storytelling, while captivating young adults, parents and grandparents with deeper Christian truths worthy of thought-provoking discussions! Enjoy reading these storybooks for children after dinner together or as bedtime stories with your kids. You'll revel in these modern fairy tales -- each chapter an allegory for your children to decipher, with short moral stories and spiritual lessons for living that convey values and virtues ... like honesty, compassion, loyalty, friendship, perseverance, positive self-esteem, courage, and more. You'll embrace these fiction fables within your family, as they are children's books with inspirational moral values and christian themes, to encourage you all to better living in this challenging world in which we live everyday. Written as a trilogy of children's fiction for kids to enjoy reading with their parents, this is book #1 of 3 in the series, with 12 color illustrations, and 8 character sketches, good for ages 6 and up, including preteen, teen, and adults. fairy tales for kids, children's fiction, short moral stories, children short stories, children's stories with morals, children's christian fiction books, chapter books for kids, inspirational christian stories, princess stories for kids, fantasy stories for kids, christian classics and allegories, religious allegories, christian fiction, christian fantasy, christian literature, religious fiction, books for young children. This 30th Anniversary Edition, and the multi-ethnic illustrations it contains, was birthed out of the loss of the authors' youngest son, Jeremy, who at age 41 succumbed to aggressive Lymphoma, leaving behind a wife and three young children. Jeremy was an illustrator and immigration specialist who spoke multiple languages, and had always dreamed of creating multicultural art for The Kingdom Tales Trilogy, but never received the chance. In his honor, and to reflect the emerging ethnic times in which we live, the authors ran a successful Kickstarter campaign to fund the re-issue of these books on their 30th anniversary with revised content and characters depicted in different ethnicities.